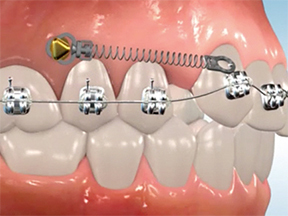 The main wire that acts as a track to guide the teeth along. 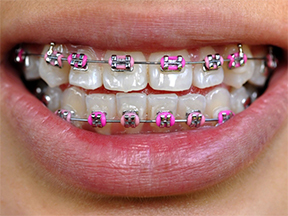 It’s changed periodically throughout treatment, as teeth move to their new position. 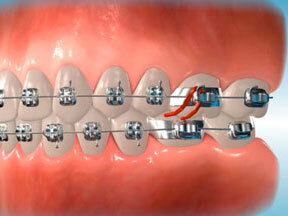 Brackets – Small attachment that holds the archwire in place. 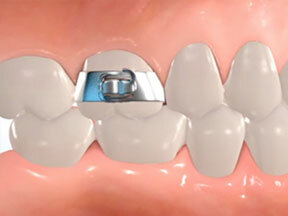 Most often, a bracket is cemented directly onto the tooth’s surface, eliminating the need for a band. 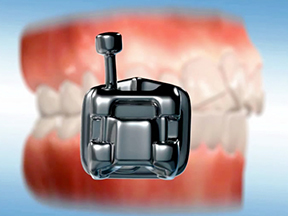 Buccal Tube - A small metal part that is welded on the outside of a molar band. 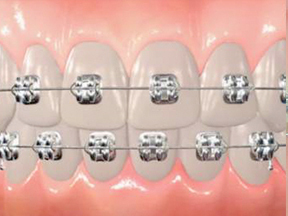 The molar band contains slots to hold archwires, lip bumpers, headgear and other things Dr. Chorak may use to move your teeth. 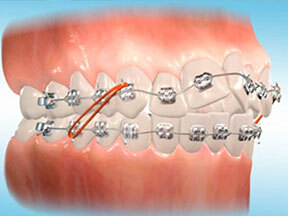 Small rubber bands that are hooked between different points on the appliance to provide pressure to move the teeth. 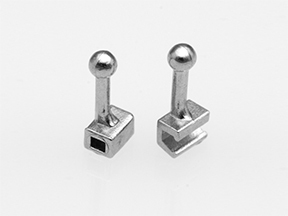 A tiny rubber band that fits around the bracket to hold the archwire in place.